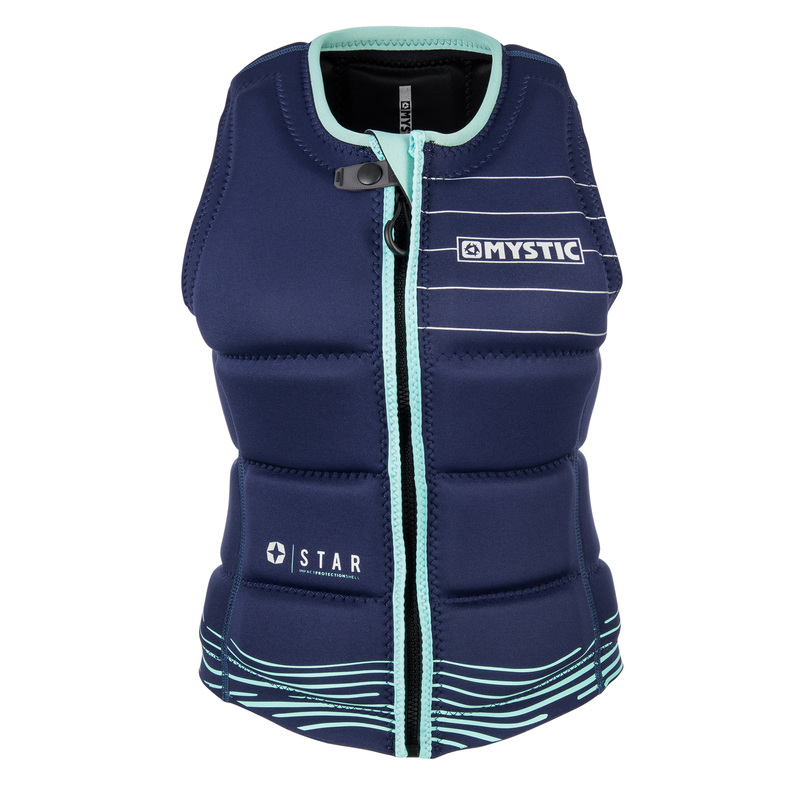 The Mystic Womens Star Impact vest is a female specific Impact Vest made from Soft Touch neoprene that is flexible and comfortable. The Womens Star Impact Vest is designed to absorb shock from impacts in the wakepark, whilst remaining flexible and comfortable to wear. Please note that this is not a floating device / buoyancy aid. This impact vest should not be used instead of a life-vest. The Front-Zip makes it easy to get in and out of your impact vest whilst the Mystic zipper lock holds the zipper puller in place during impacts. The Zipper puller is waterproof and built to last. XS = Euro 34, Chest (CM) 79 -86, Chest (Inch) 31"-34"
S = Euro 36, Chest (CM) 84 -91, Chest (Inch) 33"-36"
M = Euro 38, Chest (CM) 89 -97, Chest (Inch) 35"-38"
L = Euro 40, Chest (CM) 94 -101, Chest (Inch) 37"-40"
Womens Specific fit - If you are not a woman, this Mystic impact vest is not for you. Stretchy and low profile impact vest with a front zip. 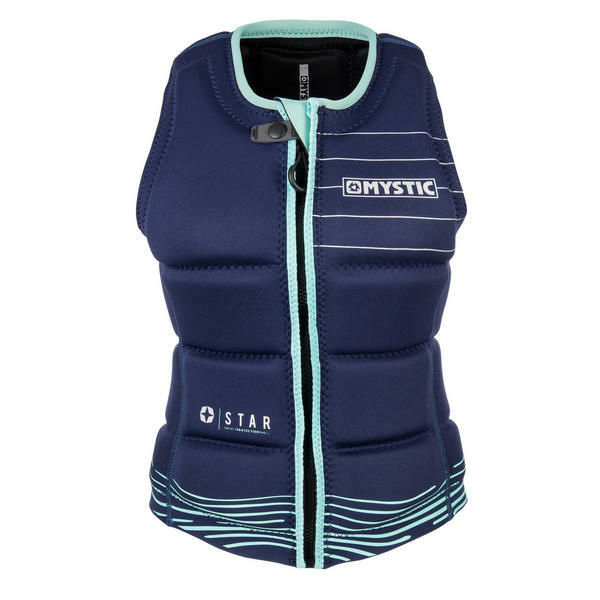 The Star impact vest comes in at an affordable price. Designed for watersports only, the Predator is a comfortable wakeboarding helmet that will protect your from impact.